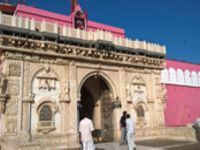 Thar desert tour is a four night tour package by manoyatra, with special interests in historic monuments, traditional culture and the rural life of Rajasthan, India. 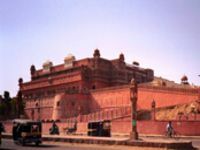 In this tour package you will visit Bikaner, Jodhpur and Jaisalmer. Enjoy camel ride and a romantic dinner with your loved ones in jaisalmer which is included in the price of your tour package. A memorable trip awaits ahead! Book now. Enjoy breakfast at the hotel. Drive to Jaisalmer. Rest of the Day at leisure. Overnight stay in Jaisalmer. After breakfast Drive to Jodhpur. 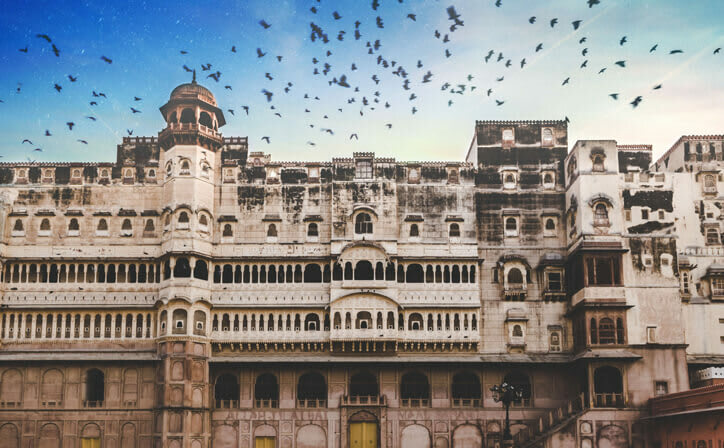 Later visit Mehrangarh Fort, situated on a low sandstone Hill, including Moti-Mahal and Phool Mahal. Also visit Jaswant Thada, an imposing Marble Memoriam built in 1899 and the museum located in the Umaid Public Gardens. 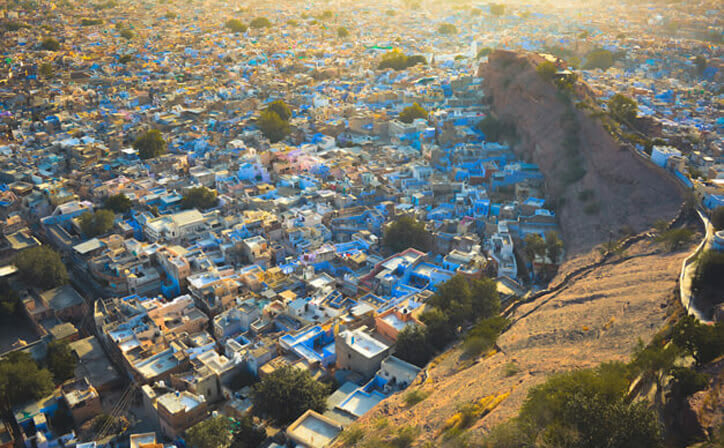 Overnight stay in Jodhpur. 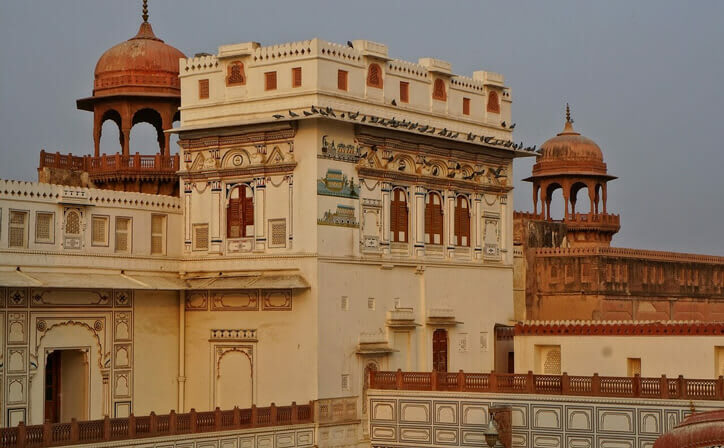 01 Night Bikaner | 02 Night Jaisalmer | 01 Night Jodhpur | 3 Star Hotel Accommodation | Daily Breakfast | Transfers | Private guided sightseeing | Camel Safari and dinner at Jaisalmer. 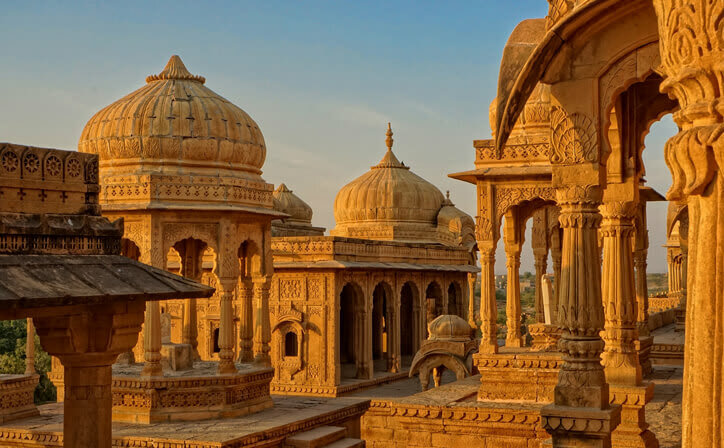 Jaisalmer is a former medieval trading center and a princely state in the western Indian state of Rajasthan, in the heart of the Thar Desert. Known as the Golden City it's distinguished by its yellow sandstone architecture. 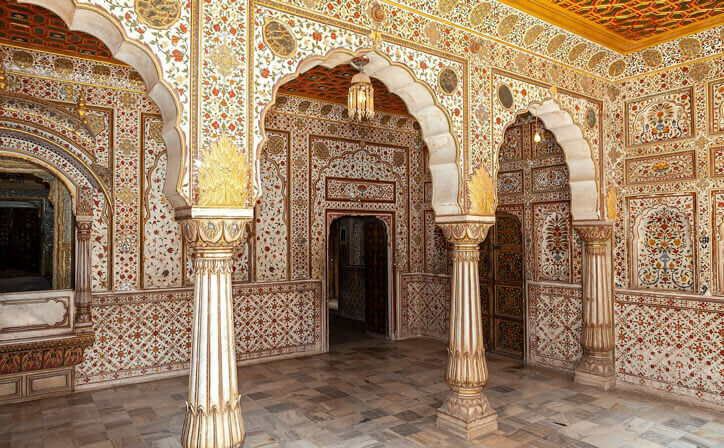 Dominating the skyline is Jaisalmer Fort, a sprawling hilltop citadel buttressed by 99 bastions. 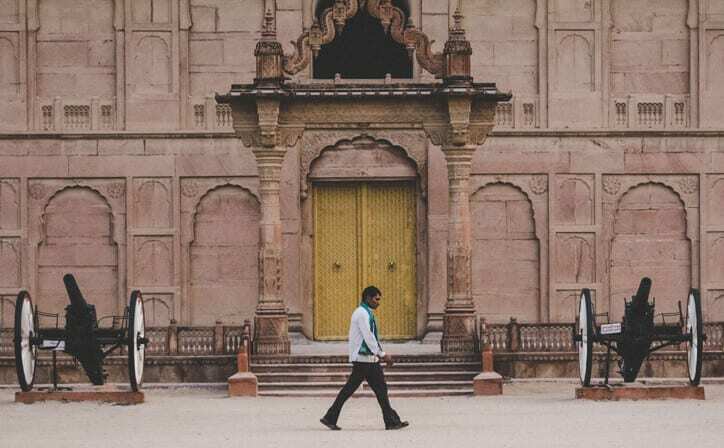 Behind its massive walls stand the ornate Maharaja's Palace and intricately carved Jain temples. 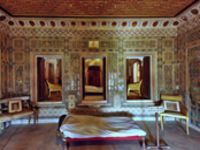 ○ 04 Nights accommodation in well appointed A/c room in well rated hotel.